Rubina Dilaik Gave The Best Wedding Gift To Hubby Abhinav On Their Sangeet Night! Tinsel town is abuzz with wedding bells with starlets tying the knot with their loved ones one by one. But out of all the shaadis this year one stood out for its sheer beauty and the love that ensued from all the functions. We're talking about Rubina Dilaik and Abhinav Shukla and their oh-so-gorgeous Shimla wedding. The two became man and wife last month on the 21st of June and the stunning pictures were all over Instagram. 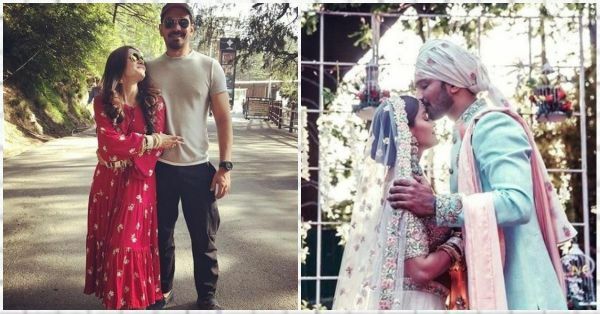 The Silsila Badalte Rishton Ka actor and Shakti Astiva Ke Ehsas Ki actress gave us major #RelationshipGoals with their sweet love story and then #WeddingGoals with their fairytale ceremony. But it's her wedding gift to Abhinav that we are going gaga over. Rubina gifted her bae a song for their wedding. Yes, you read that right! She wrote the lyrics, took music lessons and composed a song for her husband to remember their big day forever. Talking about the process to a leading online portal, Rubina said, "It all began 3-4 months back jab hamari shaadi ki date finalise hui thi. Main tabse soch rahi thi ki wedding gift kya doongi main Abhinav ko? I wanted to give him something immaterial. And I had been learning a bit of music, as and when mujhe apni shooting se time milta tha. So, I thought – what if I gift him a song?" Now on Rubina Dilaik’s youtube channel ! What a phenomenal song, given that its your first time! Full power @rubinadilaik 😘. She further went on to say that she would pen down four-five lines in a poem form and send it to him via text. She then thought of compiling it all together and share it with him as a surprise for their big day. Talking about when she first played it for him, the diva said, "On our sangeet in Shimla (I gave him the gift), sabhi dance kar rahe the, and everybody expected me to dance as well. That’s when I played out the song. I wanted to gift him something unexpected. We played the song on the AV monitor." Rubina said that Abhinav was completely spell-bound when he first saw the clip. She had documented clips from the time they started dating to now. "At first, he just looked at the video, spellbound, as I had compiled our personal footage from the last 4 years. It was footage from our travels and celebrations – Diwali, Holi, aisi choti-choti clips mere paas thi and I patched them together. Initially, he thought ki some film song par I made that video. But then, in the middle of the song, he realised that it was not a film song. He asked me, “Have you sung this?” I just smiled. He got up and started dancing, he was so elated”, the newlywed added. Another reason why she chose to gift him a song was because he was the only one who believed in her singing capabilities. 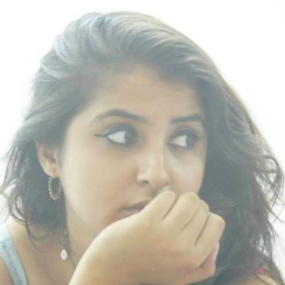 Her friends would make fun of her but it was Abhinav who believed in her and encouraged her to take formal training and devote her free time to music. She even revealed that the footage she had were tiny clips from here and there. It took her a good 15-20 days to sift through and short-list all the footage for the video. That's some dedication! Watch the video below, it's really special and shows how much hard work Rubina put into this to make it every bit extraordinary!